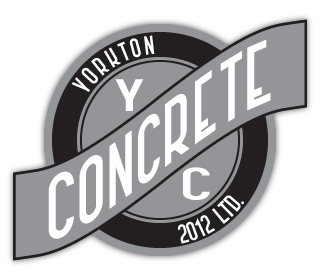 Residential Concrete Yorkton | FAQs | Yorkton Concrete 2012 Ltd. Learn more about frequently asked questions dealing with concrete and more. If you have a question you don't see here, please give us a call today. How are concrete and cement different? What decorative finishes can be applied to concrete? Can it ever be too hot or too cold to lay new concrete? While the two terms are often used interchangeably, cement is actually an ingredient used to make concrete. Concrete is made using a mixture or aggregate of items like sand, gravel or crushed stone and a paste (water and cement). The older concrete gets, the stronger it becomes. Cement makes up about 10% to 15% of the volume of the concrete mix. Because concrete goes through a drying process that involves a variety of factors, it can warp or crack when it dries out. Fortunately, contractors can anticipate this and will often put joints in concrete pavements and floors to anticipate where a crack will happen and enable it to crack in a neat and straight line. Concrete can be decorated and customized in many ways, all available at Yorkton Concrete 2012 Ltd. Concrete can be cut in a variety of ways, panels (wood or other materials) can be applied between the concrete, or textural finishes can be applied. Colour can be added or stamps can be used to decorate the concrete. Patterns can be added to mimic the look of brick, tile or stone paving. There are a variety of ways to remove stains from concrete, including dry or wet methods. Dry methods can be accomplished using mechanical tools like sandblasting, flame cleaning/shot blasting, grinding, scabbing, planing and scouring. Be careful when using steel wire brushes, as they can leave particles that will rust and stain the concrete. Wet methods used often include water or appropriate chemicals. Chemicals will either bleach the stain so it will not be visible or will draw the stain to the surface so it can be blotted away and removed. Wide variations in temperature can make it difficult to cure new concrete. If the air is too hot and dry, too much water is lost to evaporation. If the air is frigid and freezing, water hardly evaporates at all, leading to a standstill in the process. As a general rule, the temperature for successful curing of concrete should not fall below 50 degrees Fahrenheit (10 degrees Celsius). Please see our ready mix concrete price list below. When you’re ready to make a purchase, please call or email us! Select the category below that you’d like to learn more about. 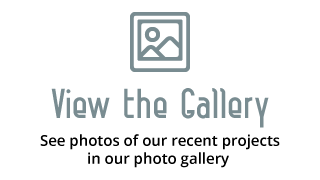 If you have an issue you don't see addressed here, please give us a call today. Each list is in PDF format. If you don't have Adobe Acrobat, download it here. How much concrete do you need? Use our concrete calculator to find out.